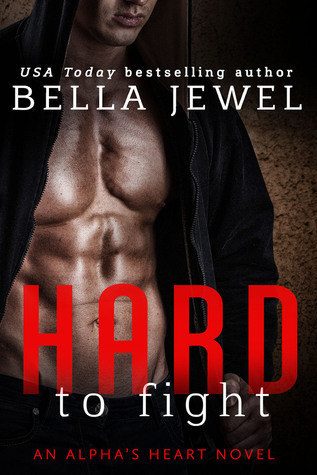 I love Bella Jewel, I have read her Motorcycle Club Romance series and really enjoyed it, so when I saw she had another genre of contemporary romance about to come out I jumped on Netgalley and requested it! Lucky me the publishers gave me a copy in exchange for an honest review! Thanks! This is a very different read from the MC novels not as gritty or edgy but picks up the slack there with snark, humor and attitude. The premise of the novel is that Grace is a woman in a man's world and trying hard to prove herself. She is following in her Dad's footprints and is a bounty hunter. She is struggling to be taken seriously and treated as an equal to her male colleagues. Raide is accused of a crime he did not commit and jumped bail to get revenge on the true criminal. Yes, she is the one who gets the job of tracking him down. That is all I'm going to say on the story, you really need to read it and see how the two interact. I'm reading the novel and for some reason Charley Davidson by Darynda Jones kept popping into my head and I finally realized that were many similarities to the the two....I actually think Bella Jewel must have been channelling Darynda as she wrote this novel. The female characters had a lot of similar traits and the plot lines and characters as well seemed to have a parallel going on . This is all good for me since I enjoy the Charley Davidson series. Just one of those things that make you wonder. I did enjoy the characters they are fully rounded and easily relate-able. The secondary characters were essential to the progression of the story line and in some cases used as a vehicle to move the story ahead. The plot is well thought out and kept me pinned to the book well past my bedtime. I loved that I laughed out loud in some places and smiled in others. The story moves quickly and there were no places where it dragged. Overall I would say it was a fun, quick read that will have me coming back to read more in the series. Just a couple things that kept the book from being a 5 star....repetition....several times it was pointed out how sassy Grace was....we got it already we are reading the book...and whining...I found Grace a bit whiny and that for me is a bit of a turn off and I thought the behaviour seemed out of character. Over all these are minor issues for a really enjoyable novel. 4 bright stars for this first book in a new series...Can't wait for the next one!!! This sounds like a really fun read, T. Can't wait!